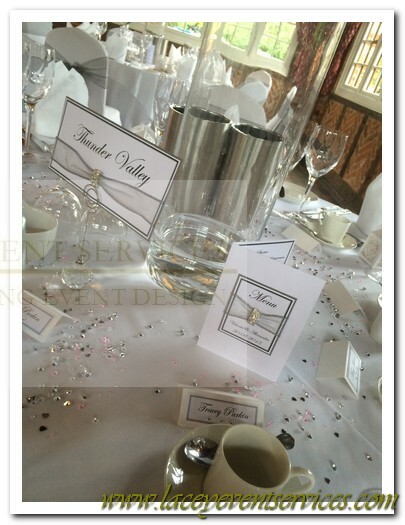 Our Table Names, Table Numbers and Menu Cards can be arranged to match any of our table plan designs or can be kept plain and simple to match any wedding or event theme! 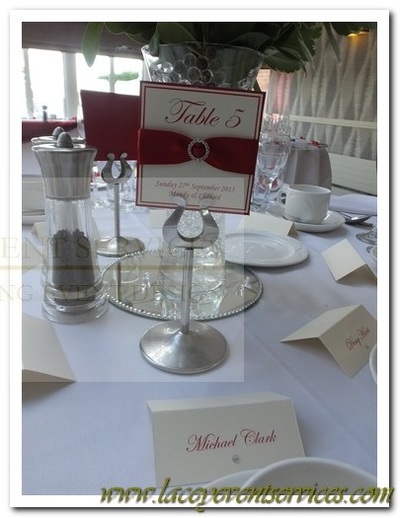 Below are some examples of previous Table Names, Numbers and Menu Cards we have arranged for weddings and events in the past. 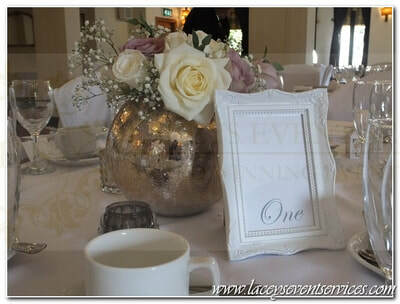 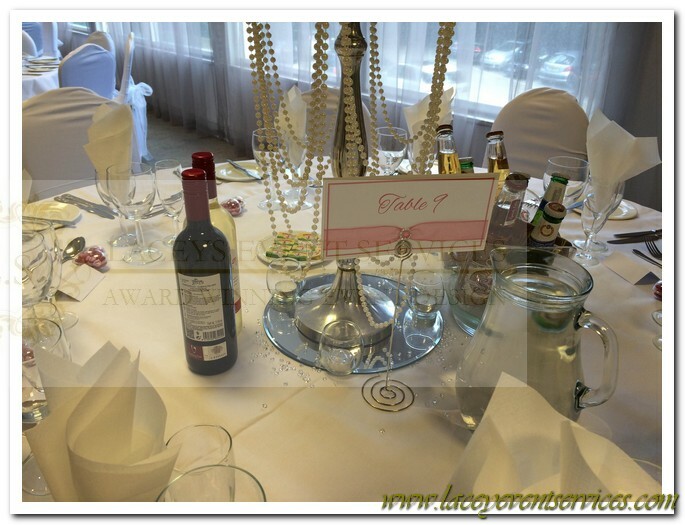 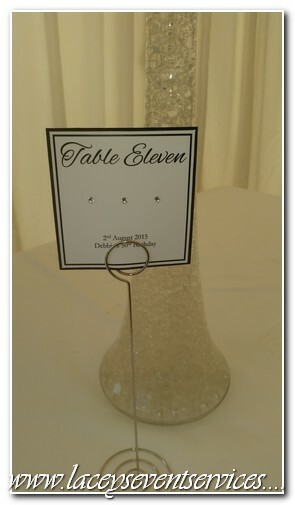 These Square Table Numbers are great on the budget! 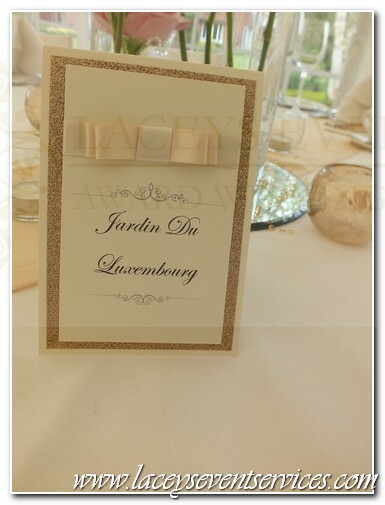 Printed onto white or ivory card in a font color of your choice then mounted onto matching heavyweight colour card to create a beautiful and Luxurious 3D border finish for your tables. 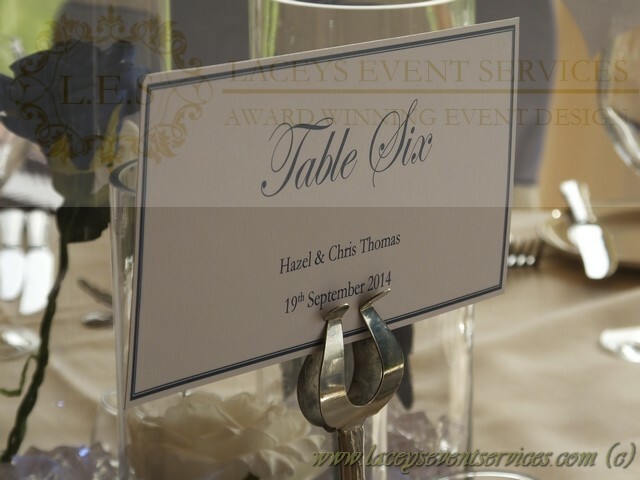 Our most popular option and a must If you are having table names instead of numbers then these DL size Table Names will be perfect for you. 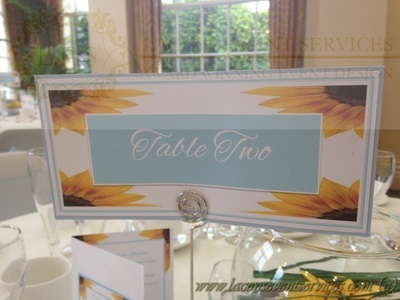 Printed onto white or ivory card in a font colour of your choice and then mounted onto matching colour card to create a beautiful 3D border adding a splash of elegance to your tables. 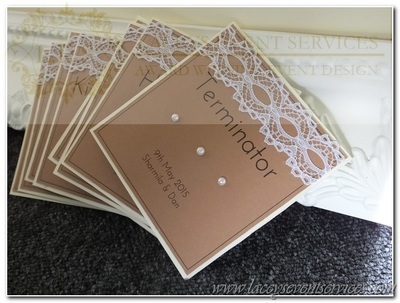 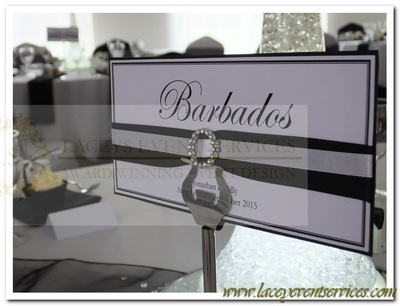 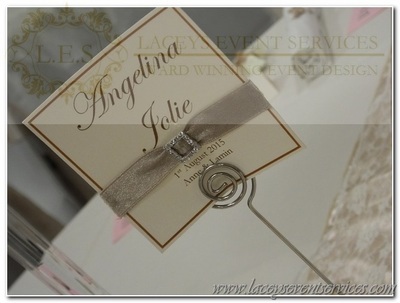 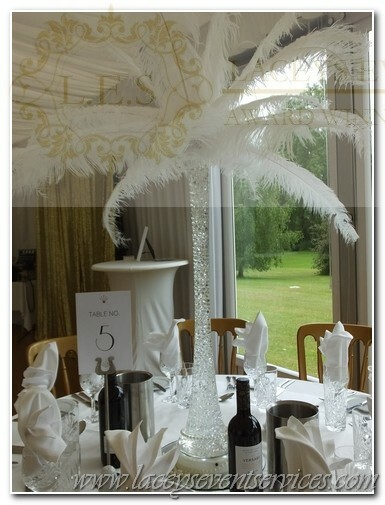 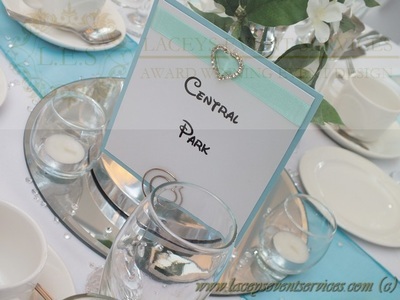 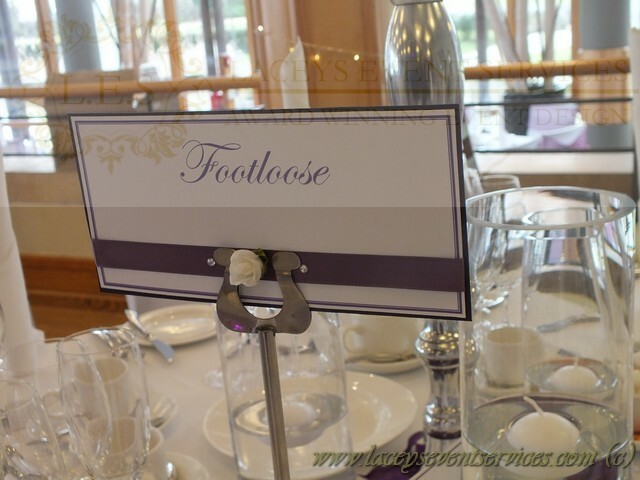 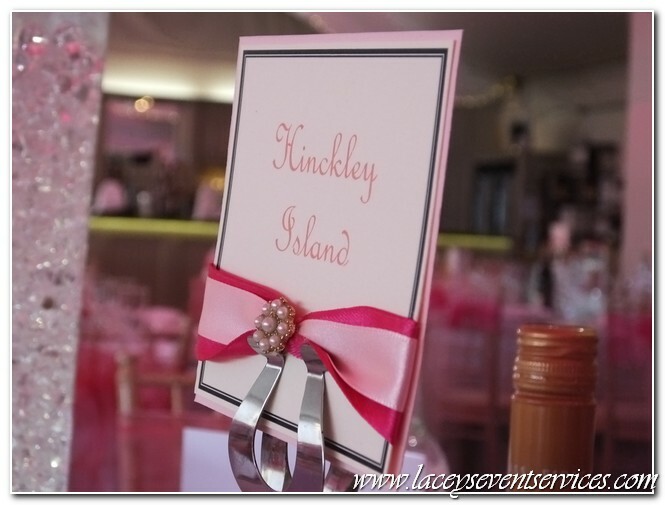 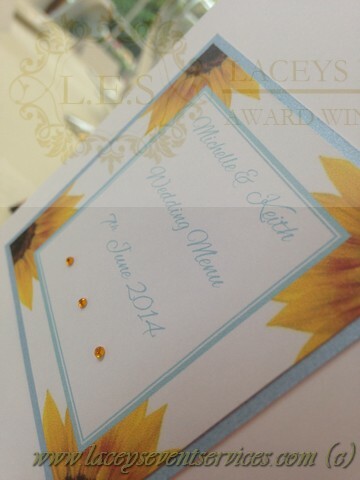 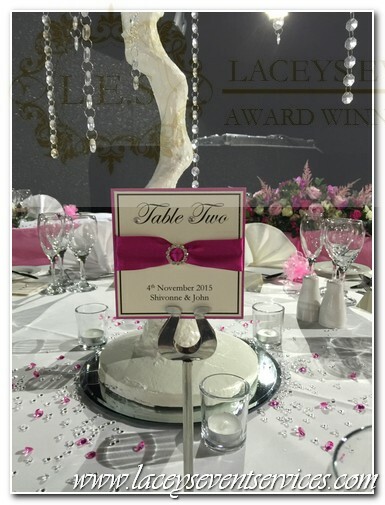 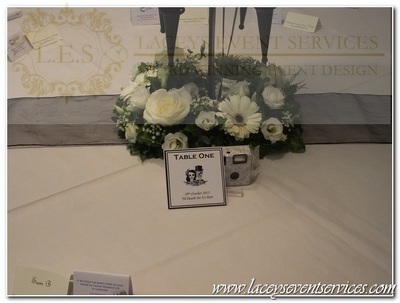 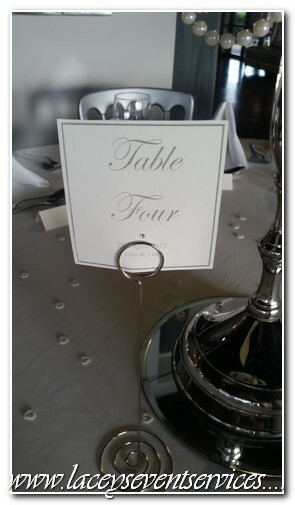 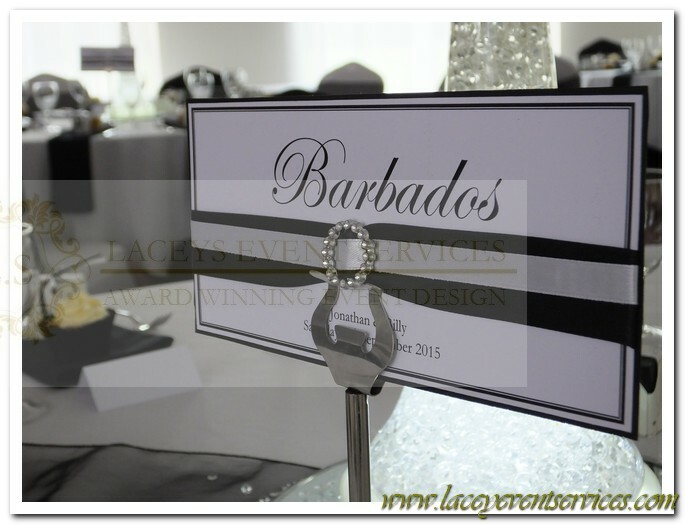 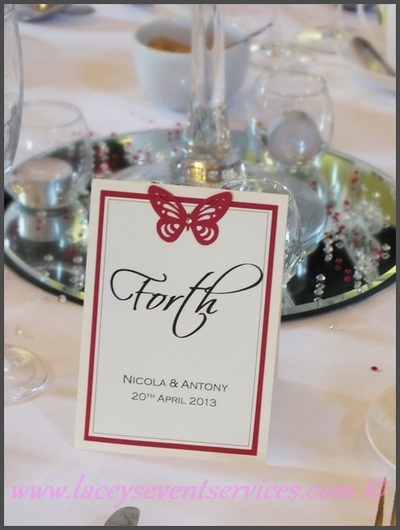 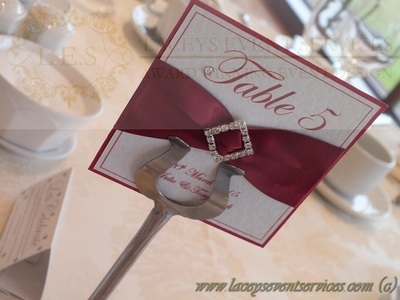 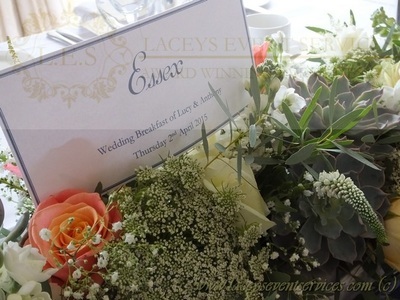 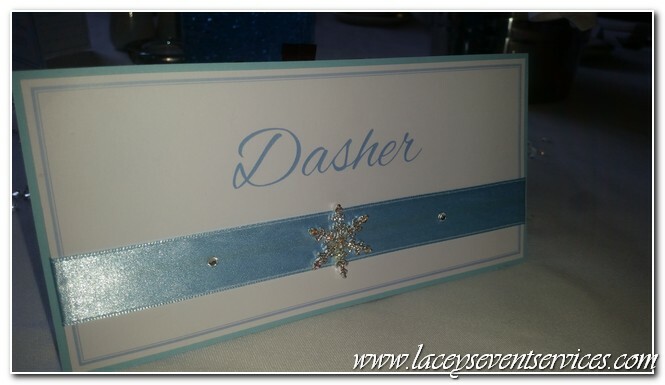 If you are are looking for something a little more personalised why not opt for our A6 size table names or numbers. 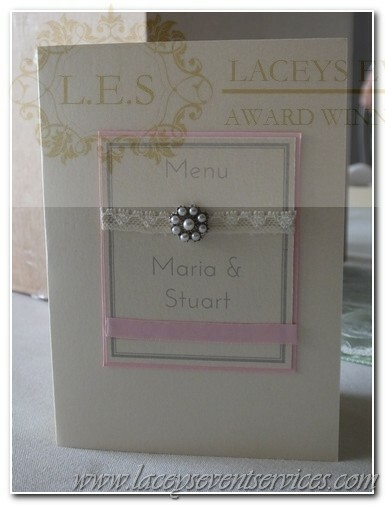 Printed onto white or ivory card in a font colour of your choice and then mounted onto matching colour card to create a beautiful 3D border. This design is also personalised detailing your names and wedding date at the bottom and can be matched with ribbons, brooches and bows to add a splash of luxury to your tables! 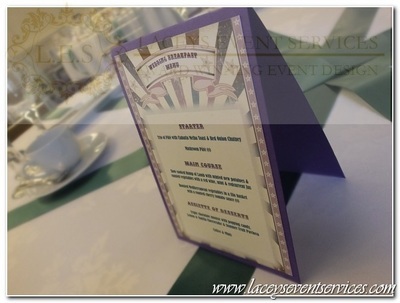 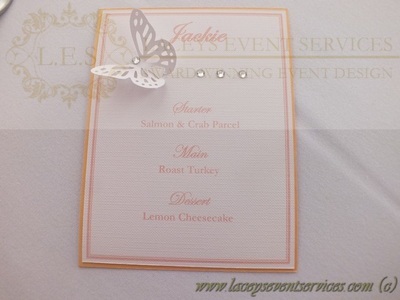 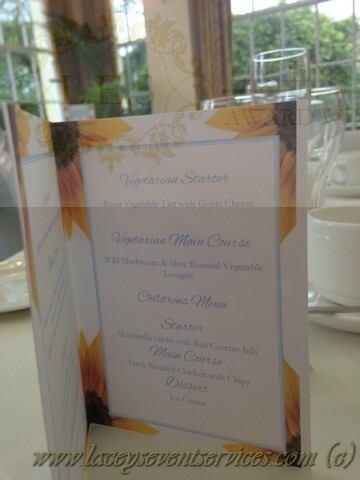 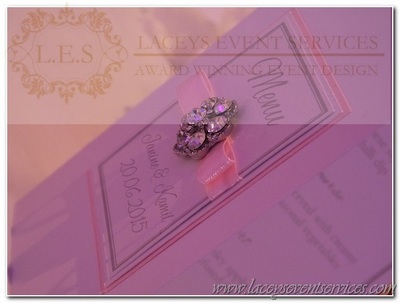 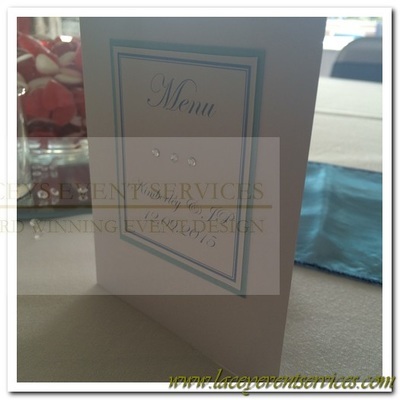 A beautiful napkin sized menu card to present to each of your guests. 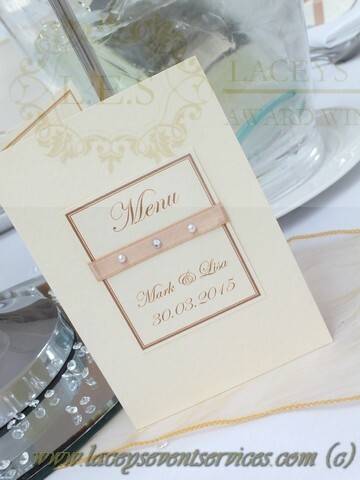 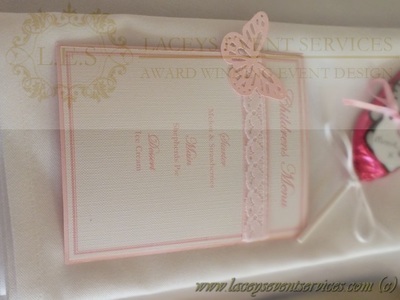 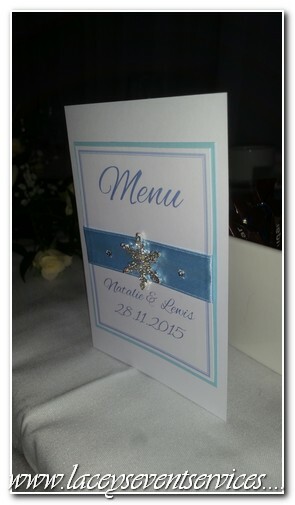 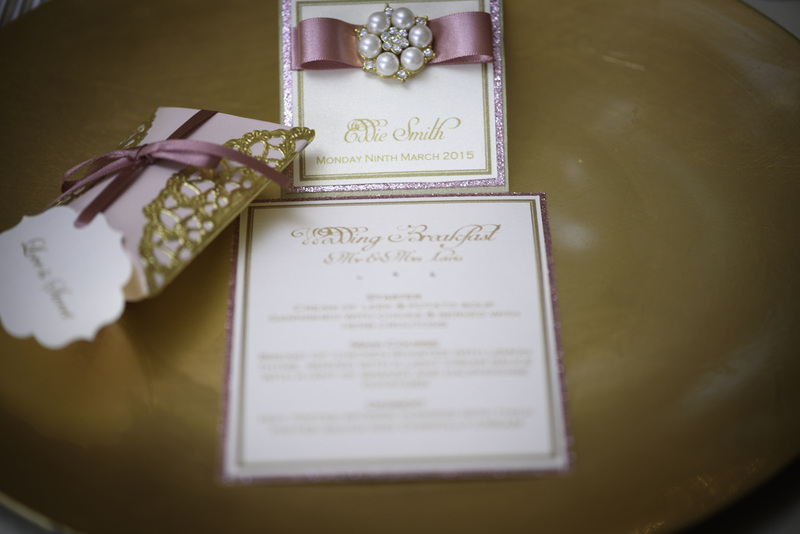 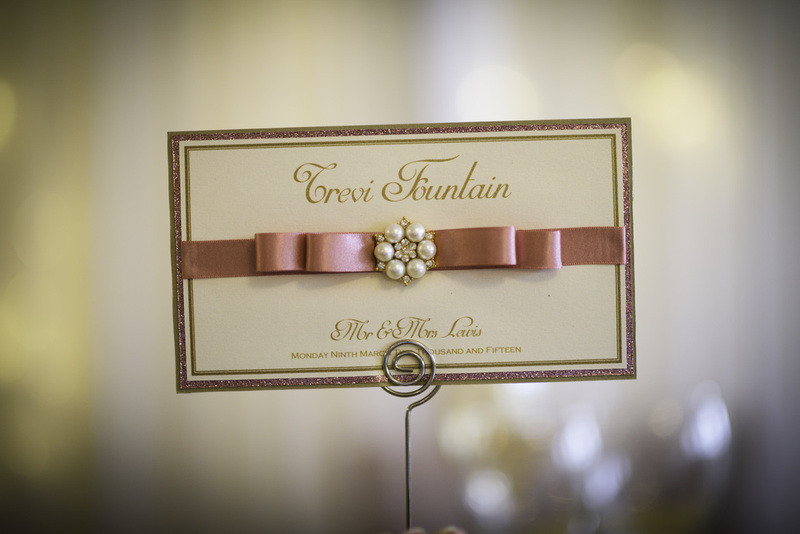 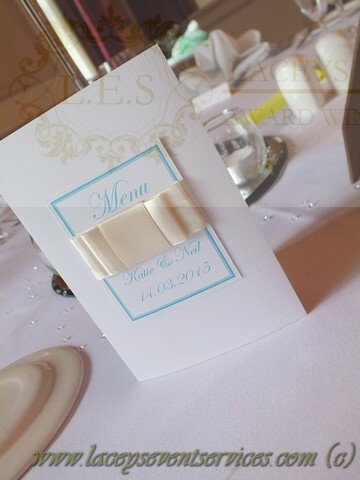 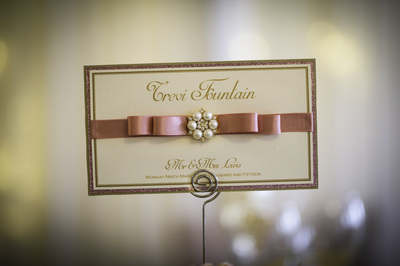 Our flat style menu cards are pre printed to your guests choice of menu and can be decorated with additional colour mounts, butterflies, luxury satin ribbons, brooches and pearls. 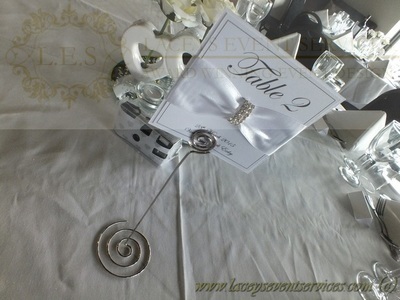 ​Placed at each guests table setting. 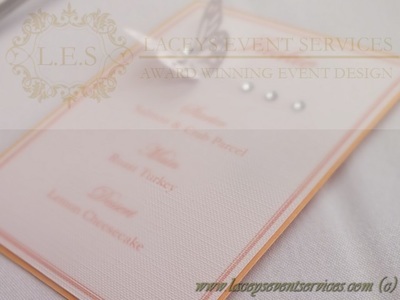 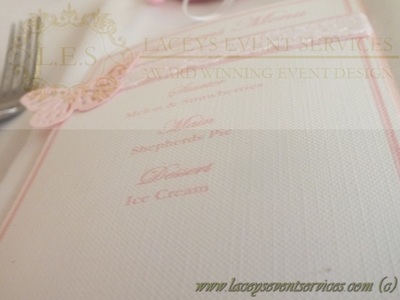 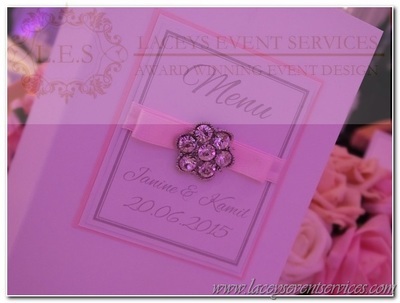 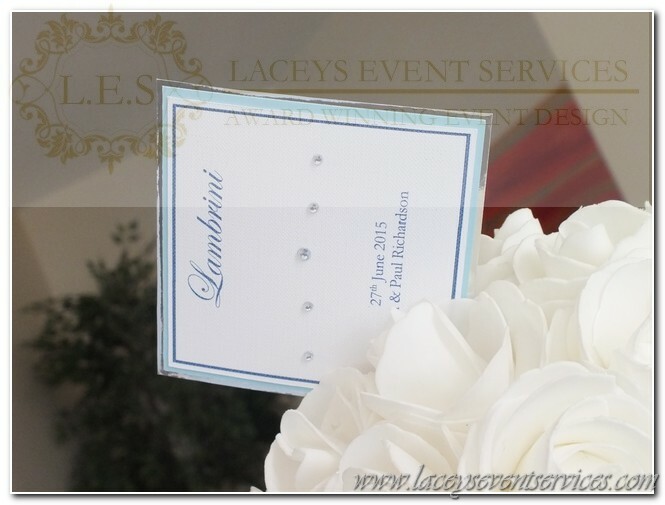 A stand alone A6 sized menu with front emblem detailing your names and event date. 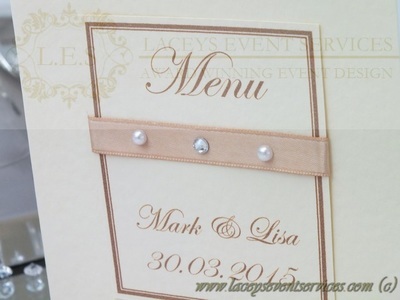 Inside you have the option of print of just one or both of the inner pages. 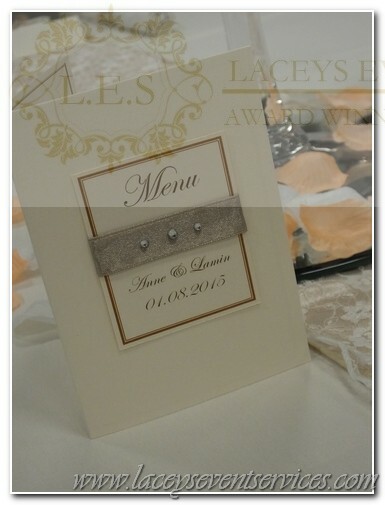 Each Menu can be decorated with satin ribbons, brooches, butterfly embellishments, diamantes and or pearls to perfectly tie in with your chosen theme. 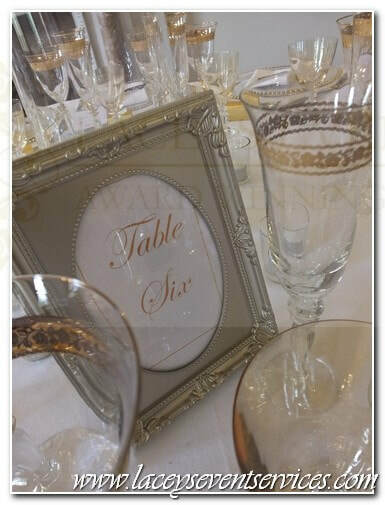 Available as a hire only option we have a stock of beautiful ornate frames in white and gold to frame your table names or numbers. 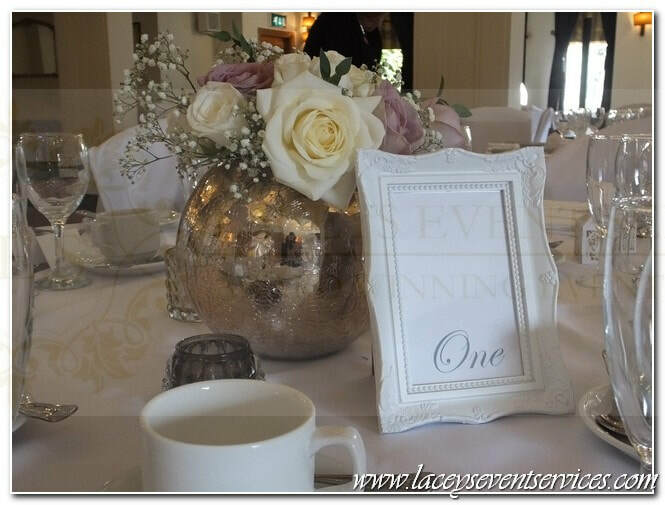 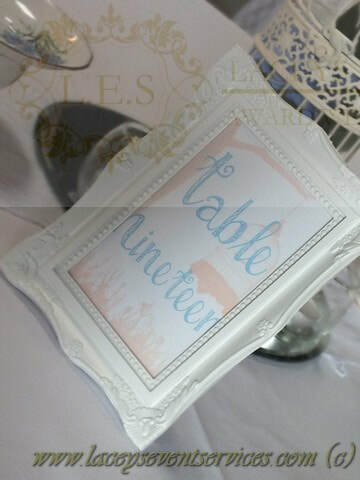 You can hire our gold and white ornate frames with or without our table number inserts.